​PLANO – The former Encana regional campus in Plano's Legacy Business Park has sold to Dallas-based real estate investment trust TIER REIT Inc. for $123.3 million. 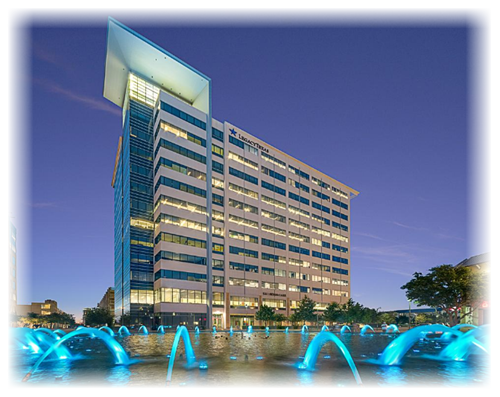 The 12-story, 319,000-sf office tower at 5851 Legacy Circle in Plano is 100 percent leased to Encana Corp., which decided to close its North Texas regional operations as it shifted from dry natural gas to more profitable liquids. By buying this five-year-old office building, TIER REIT has expanded its Legacy Business Park​ real estate holdings, having bought two contiguous land parcels to the Legacy Circle tower in 2015. The two sites can accommodate two additional office towers totaling 570,000 sf of additional office space and will be marketed as Legacy District. The deal will be near new corporate campuses for Toyota North America, JP Morgan Chase, Liberty Mutual Insurance and FedEx Office—bringing over 15,000 workers to this part of the region.